All three coats of paint is dry, the drivers are connected and mounted and it plays. Beautifully. Well balanced to the front satellites. I’m happy. I will let it lie on its back a few days to let the pain completely cure. 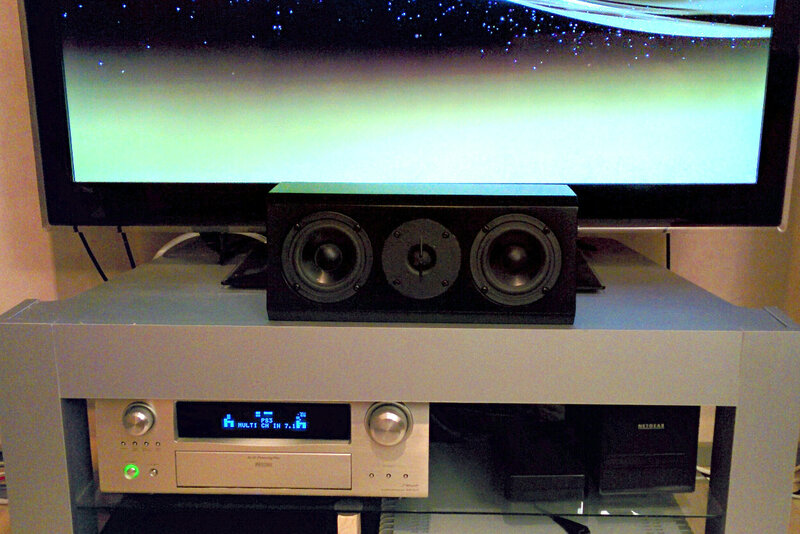 I have started installing the drivers and terminal to the surround speakers. Two coats of primer and the first coat of paint done. I have chamfered the baffle edges and sanded everything to 240 grit. I let the dust settle and tomorrow I’ll apply primer. 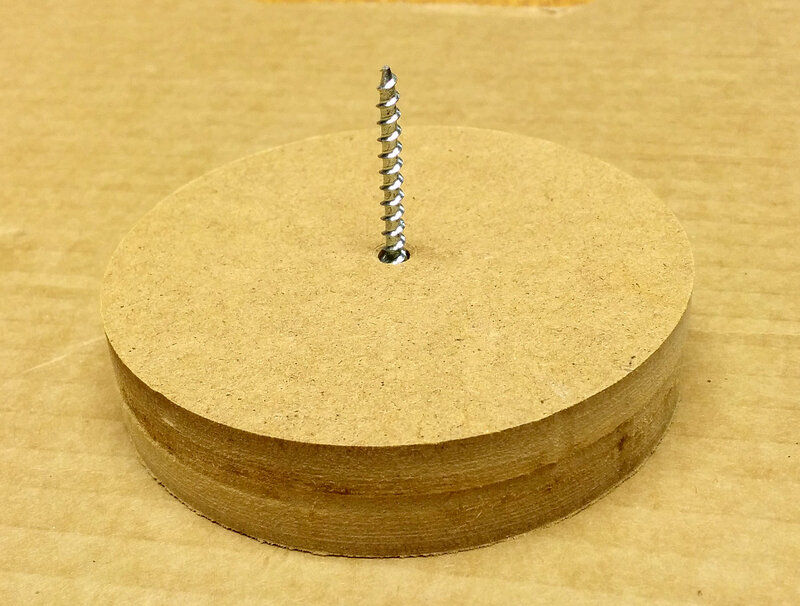 I glued screws to the circular cutouts to make them into spikes to hold up the speakers when I paint them. That way I can paint all six sides in one take. Spackled and sanded like crazy yesterday and today I put on the first coat of paint on the stands. Looks kind of ugly but the first coat always does. 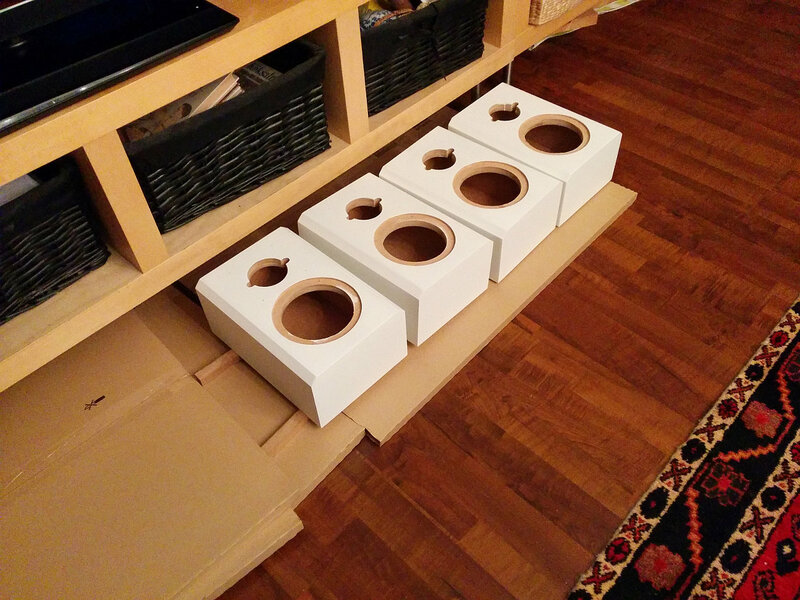 I worked long on the speaker stands today and made real progress. I have been meticulous with everything and taking my time. All parts cut up and mostly drilled. Still to do is cut the center hole in top and bottom parts, assembly and finish. I have had speaker stands for several years now and thus haven’t had my speakers up and running either. 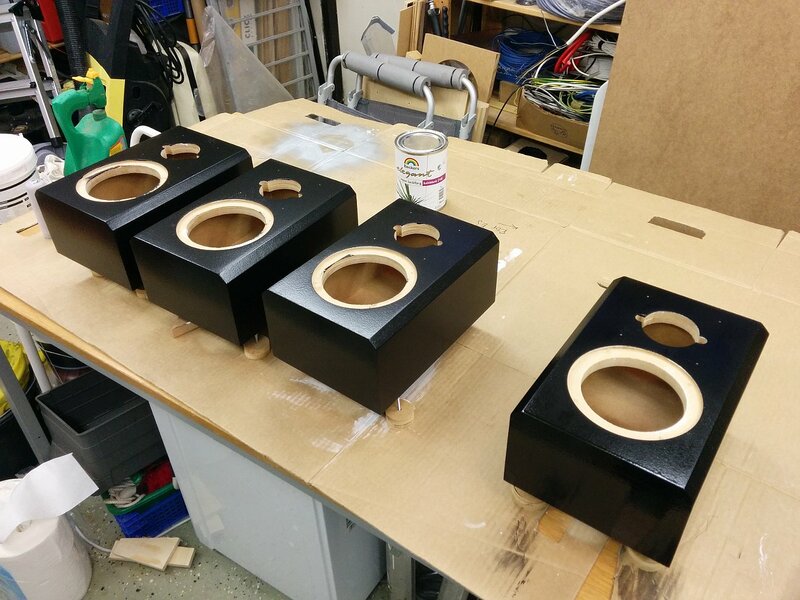 I have now designed new stands for the front speakers which hopefully are more rigid than the old ones. 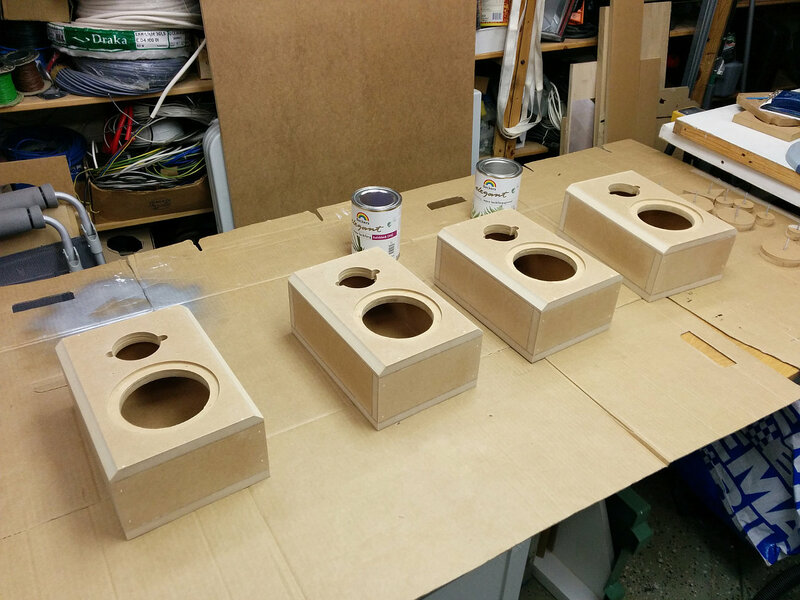 I have also made the decision to remake the center and surround speaker enclosures.